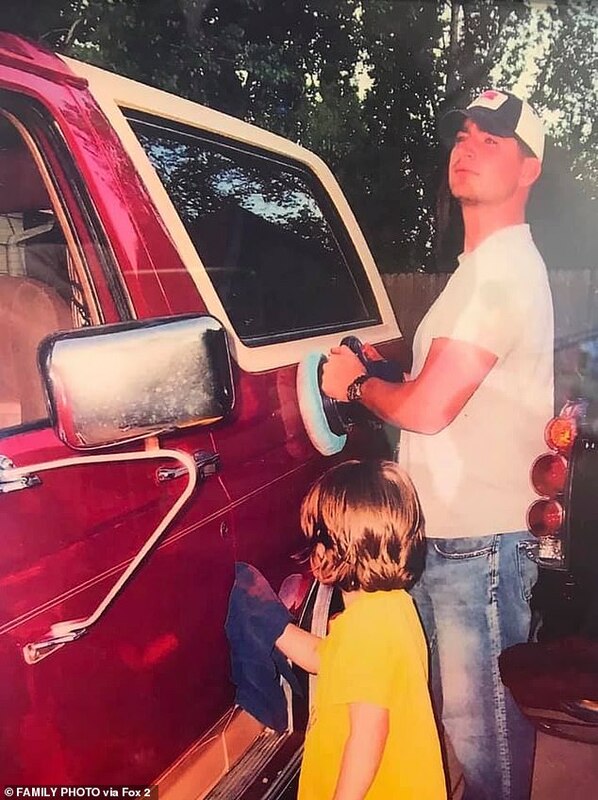 Though his dad died in action 12 years ago, this teenager was still given a birthday gift to remember from his fallen father – his prized Ford Bronco Truck. In 2007, US Marine Sgt. Nick Walsh, 26, was fatally shot by a sniper in Iraq, leaving behind his two sons, Tristan, then four, and Tanner, who was just months old. According to his wife, Julie, Walsh’s dream was to hand down his beloved ‘Eddie Bauer’ truck down to his son’s when Tristan turned 16. But in the years after his death, the 1991 Bronco sat in the garage of the family’s home in Millstadt, Illinois, collecting dust and rusting away. However, on January 26 – Tristan’s birthday – the rest of the Walsh family walked into the Mertz Ford garage in their hometown, cheered on by a crowd of 100 people. In attendance were family, friends and even a number of Marines who served with Sergeant Walsh. Despite the ceremonious greeting, the teenager still had no idea what was about to happen. Two months earlier, Julie had told her sons she had to sell their father’s ailing truck in order to raise funds to buy a new car. The boys were devastated and Julie says Tristan didn’t talk to her for nearly two weeks – but it was all a rouse, in aid of a bigger plan. The truth, in fact, was that the Mertz garage had caught wind of the Walsh’s story and, with the help of local businesses, offered to fully restore the car free of charge. Bringing the truck back to its former glory cost the garage nearly $12,000; but the look on Tristan’s face was priceless. ‘It just really warms my heart that you can give a little piece of him back,’ an emotional Julie announced after the car’s unveiling. Julie said relations with her son became strained when she falsely told him the truck had been sold. ‘He gave me a death stare. A tear fell out of his eye. He said ‘whatever’ and went upstairs,’ she recalled.